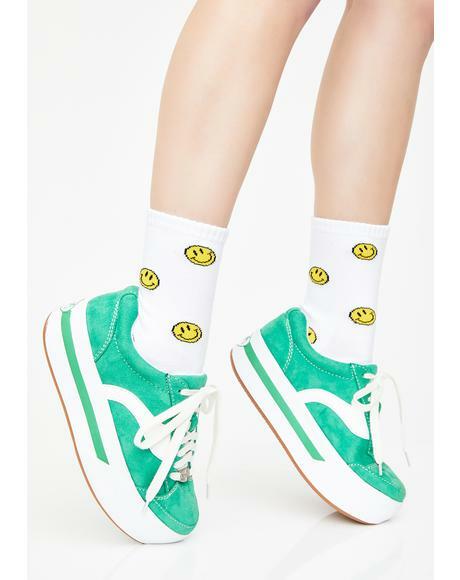 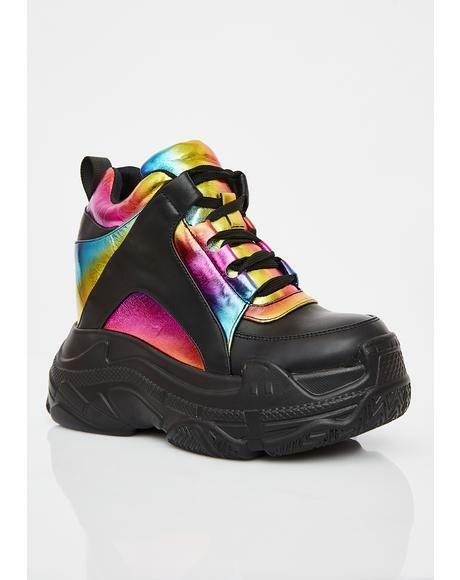 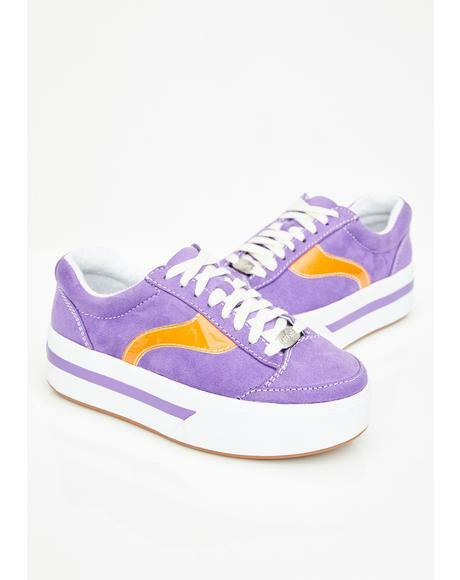 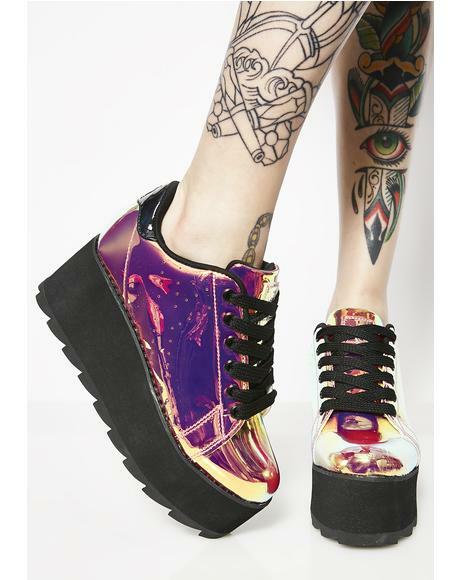 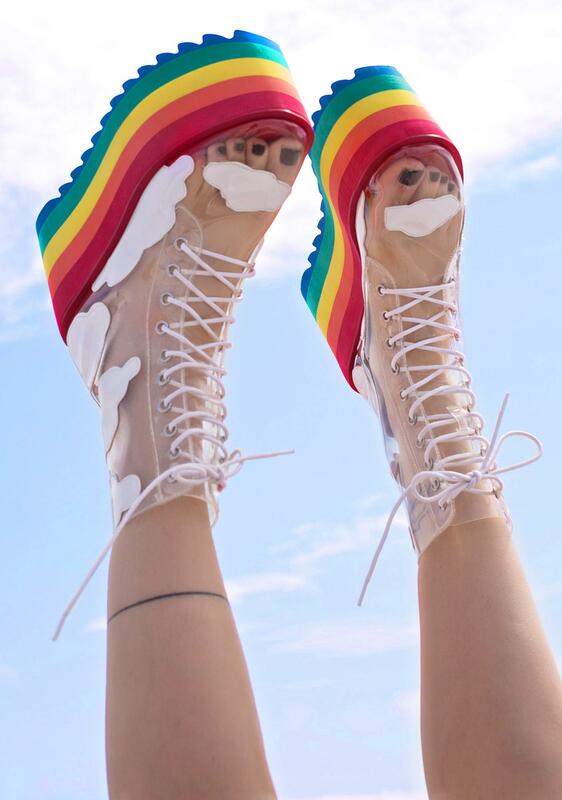 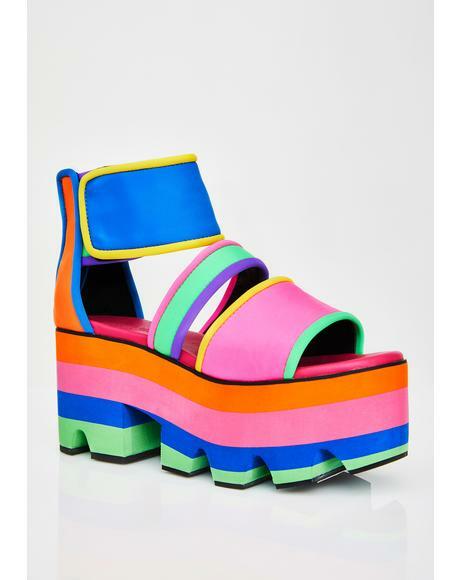 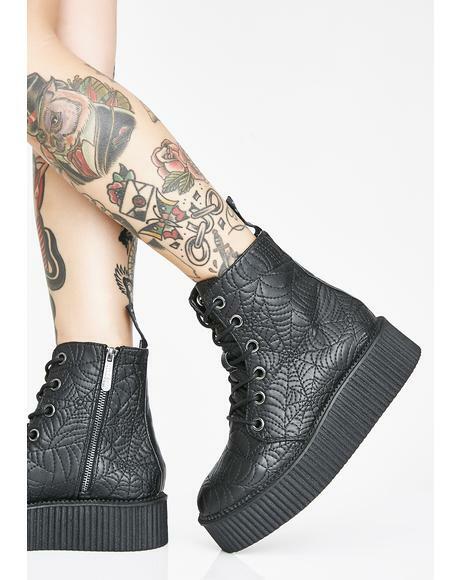 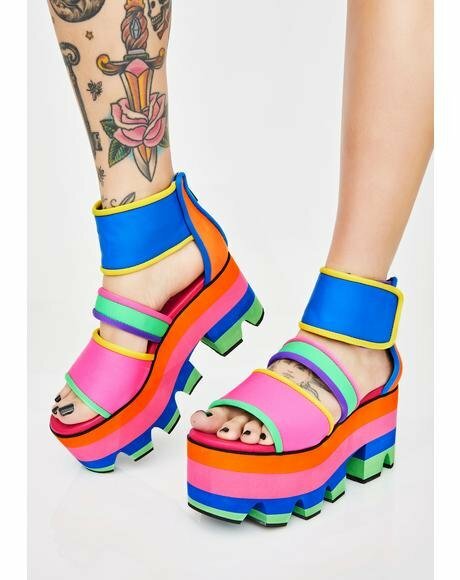 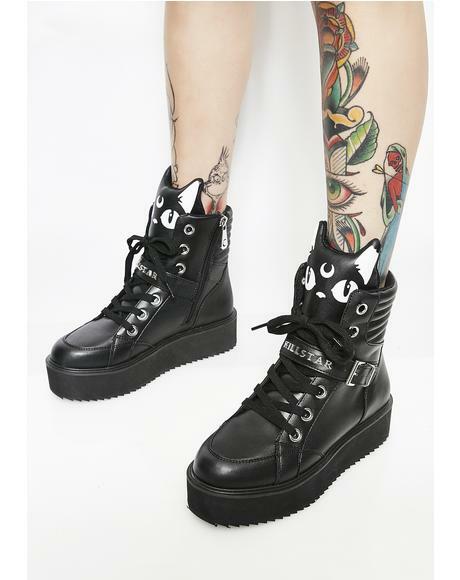 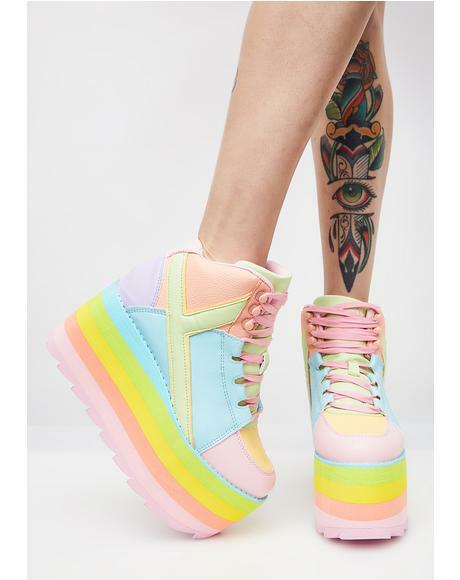 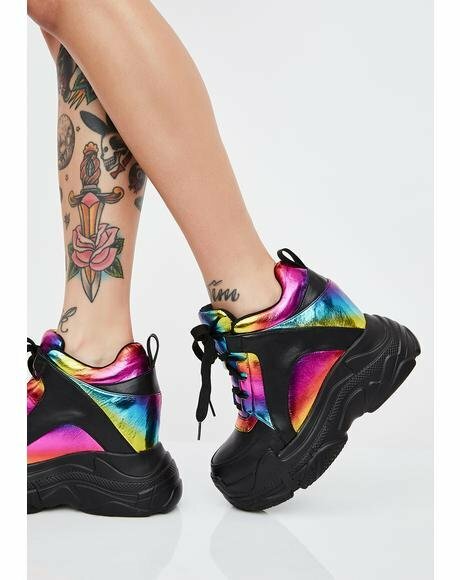 Current Mood Happy Daze Platforms when perfectly paired with rainbow skies, makes the most uplifting vibe. 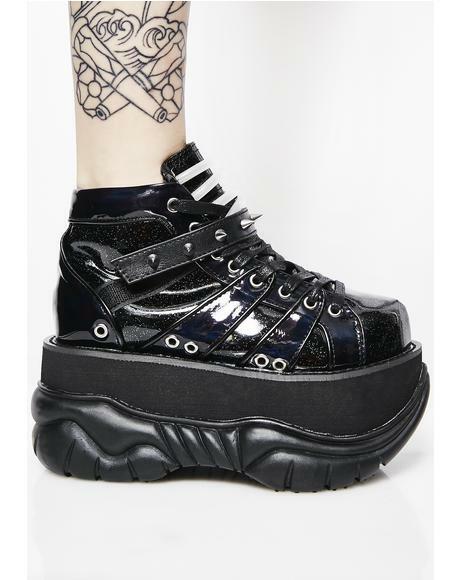 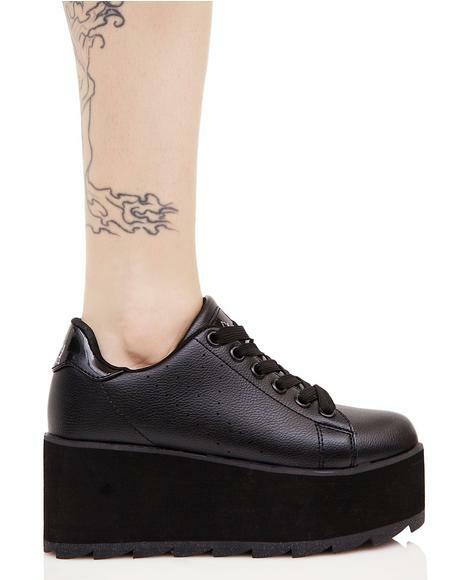 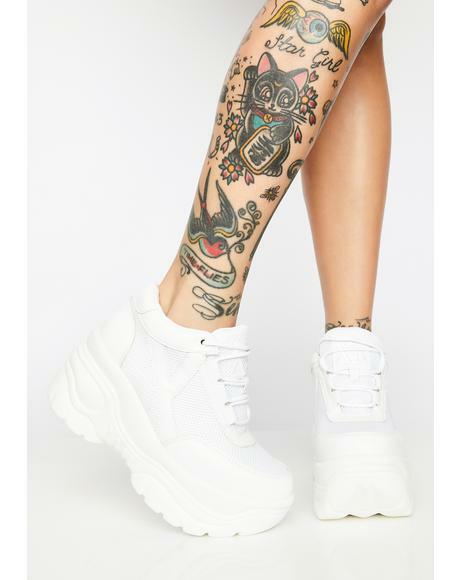 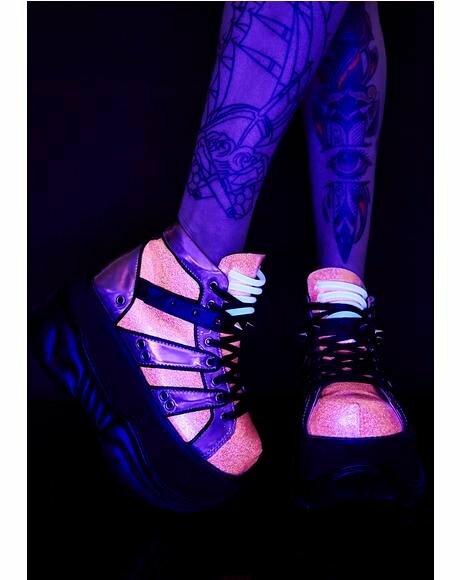 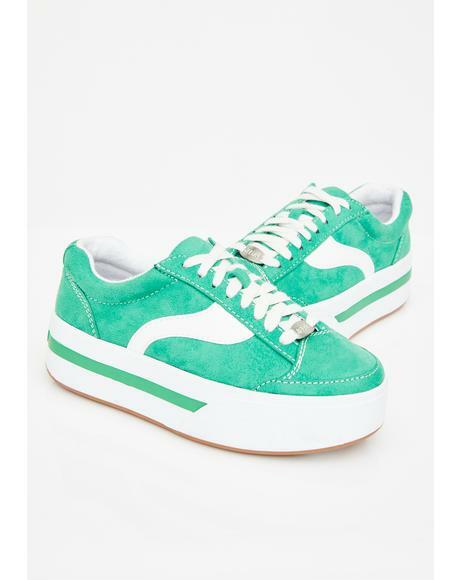 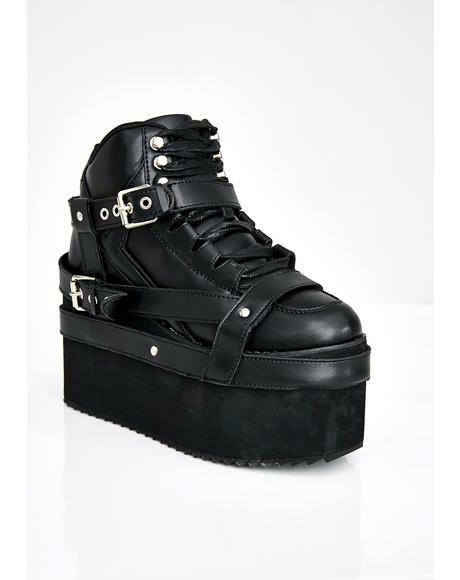 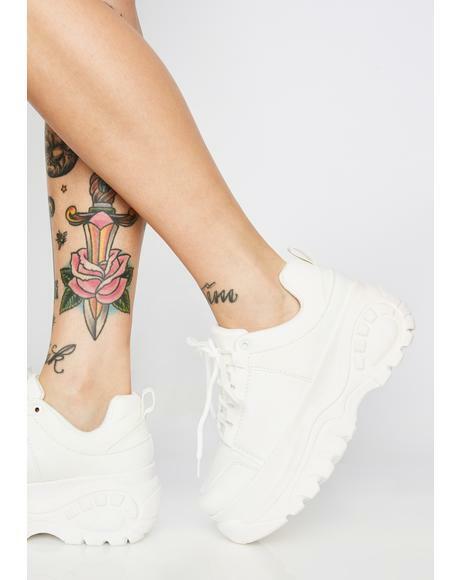 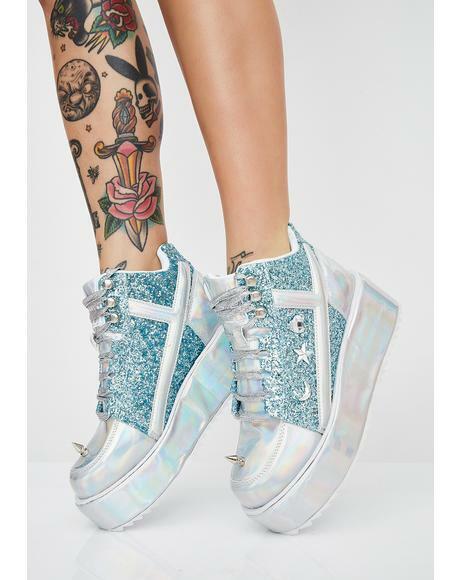 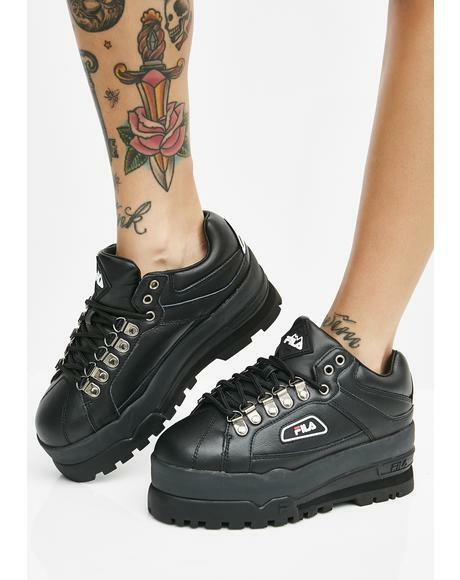 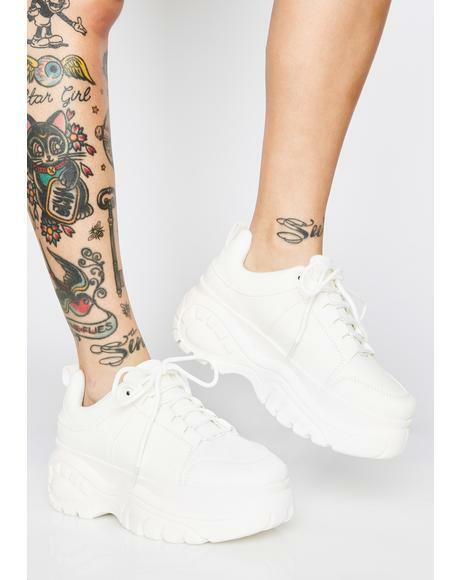 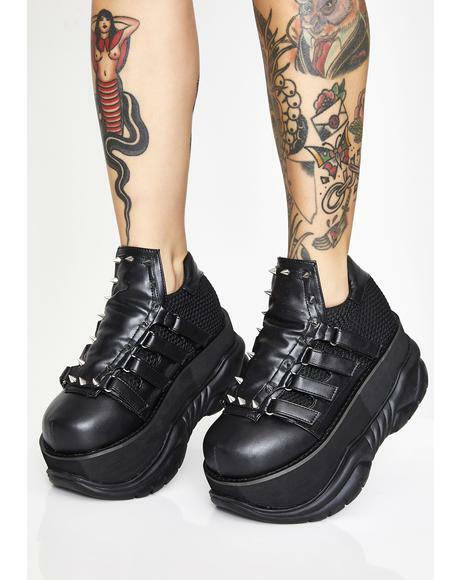 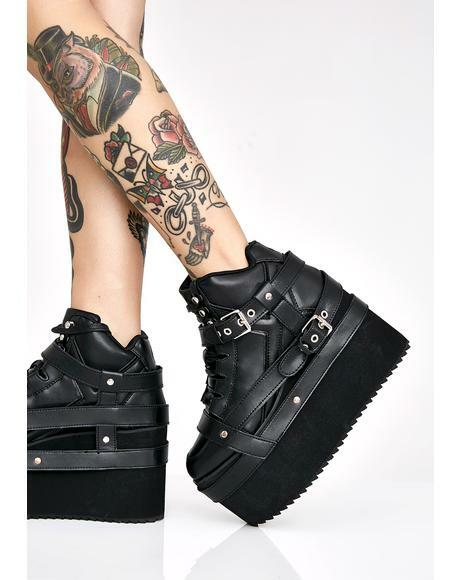 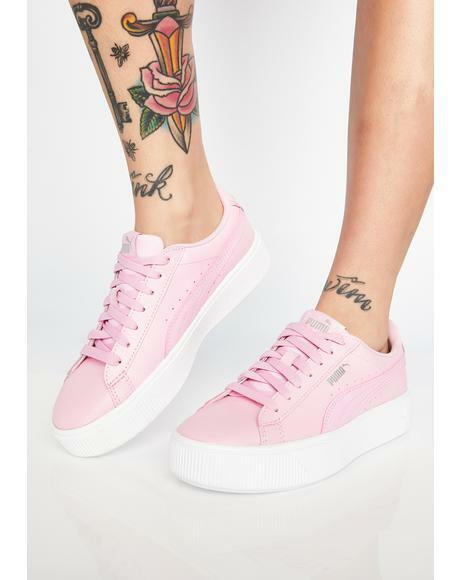 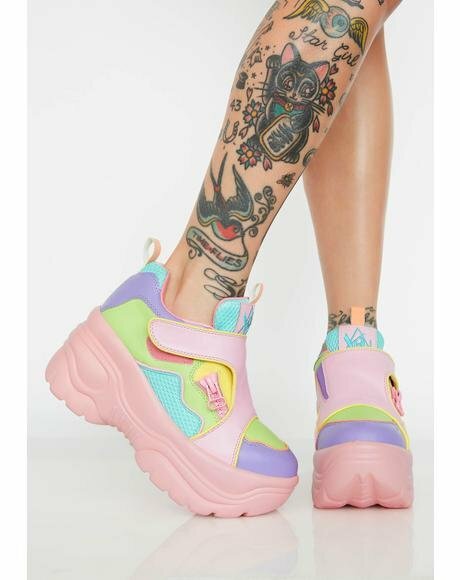 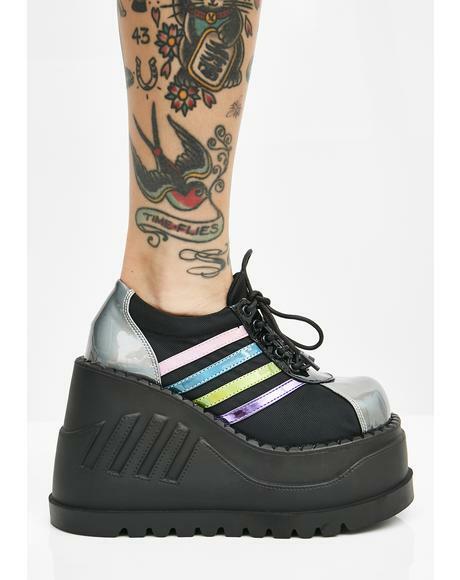 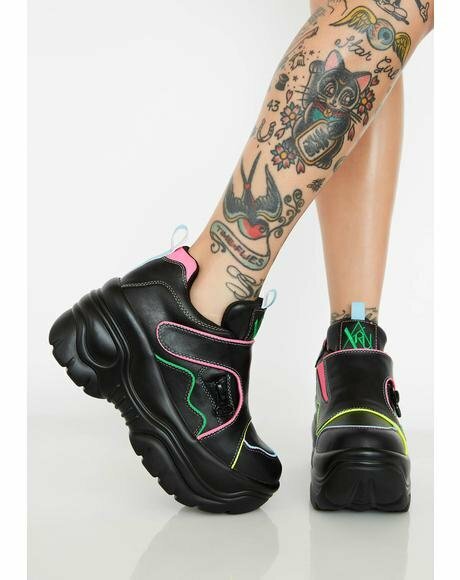 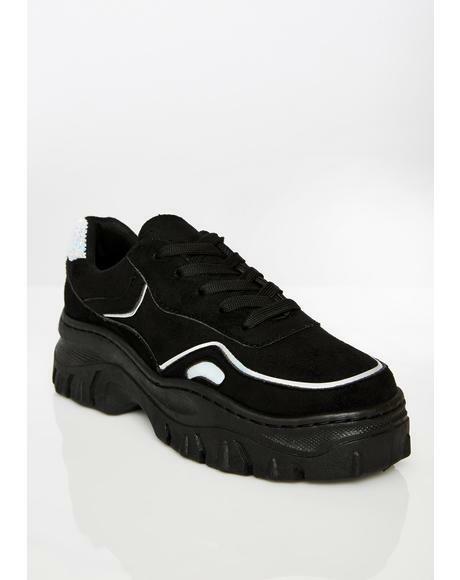 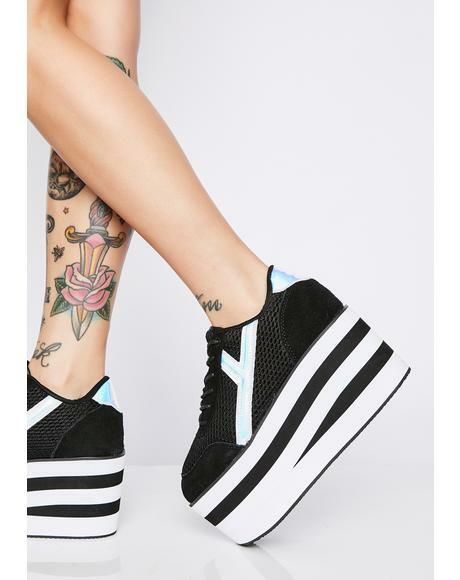 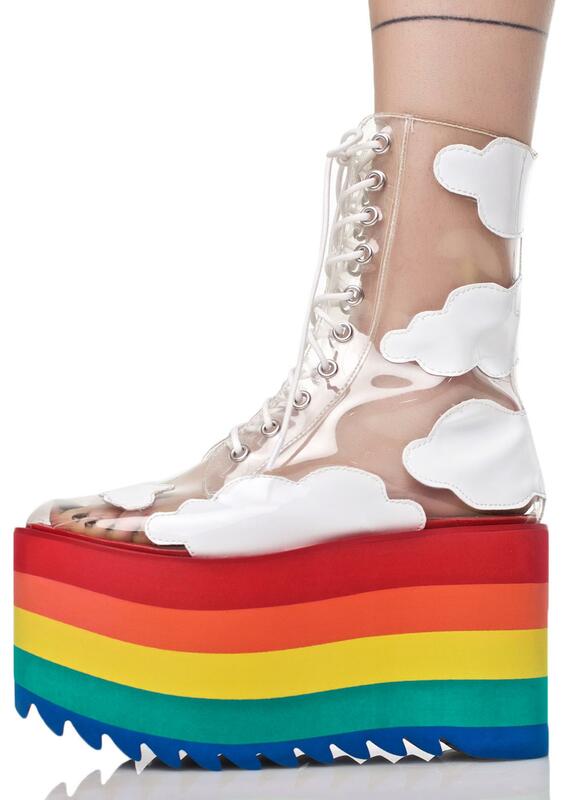 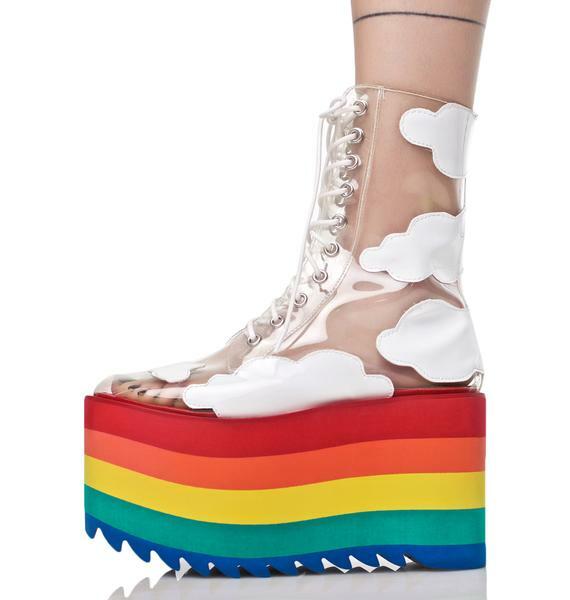 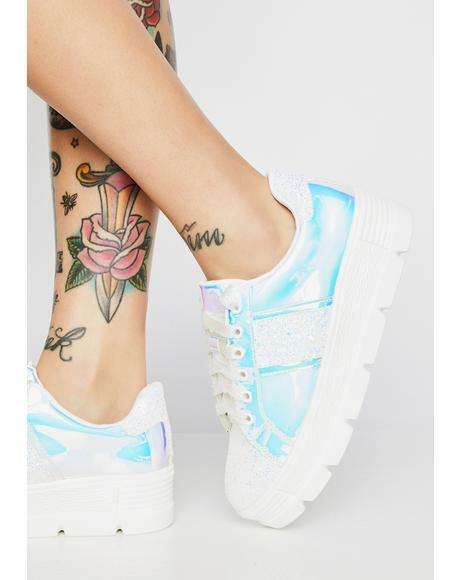 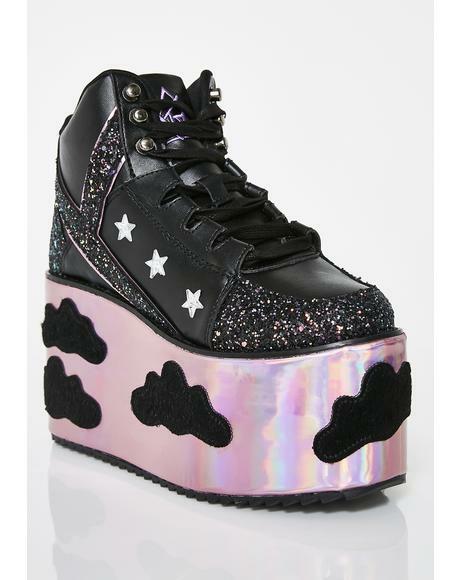 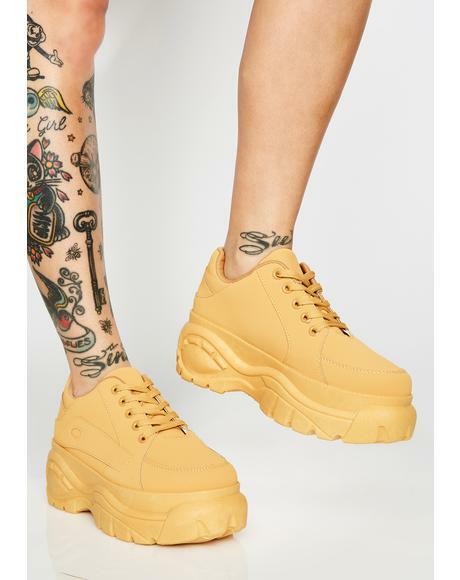 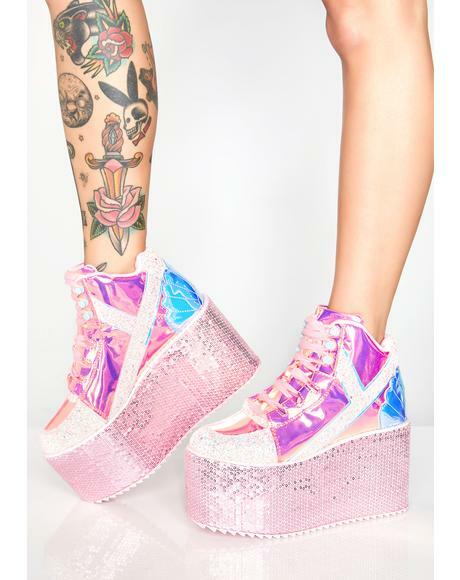 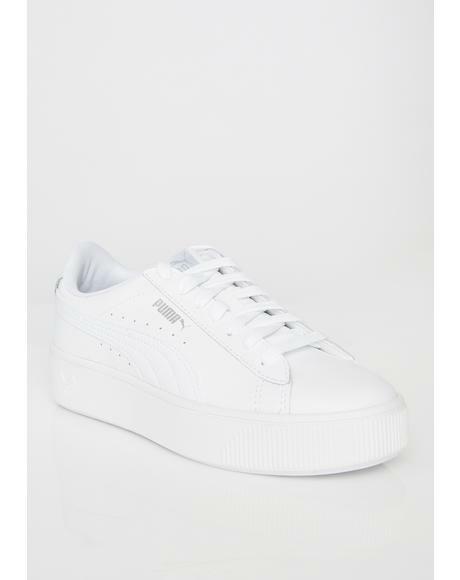 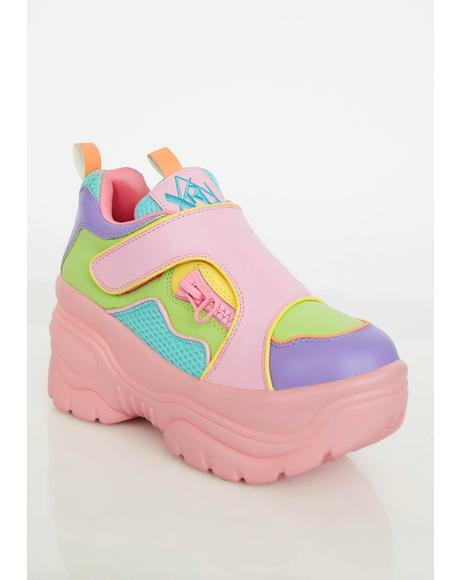 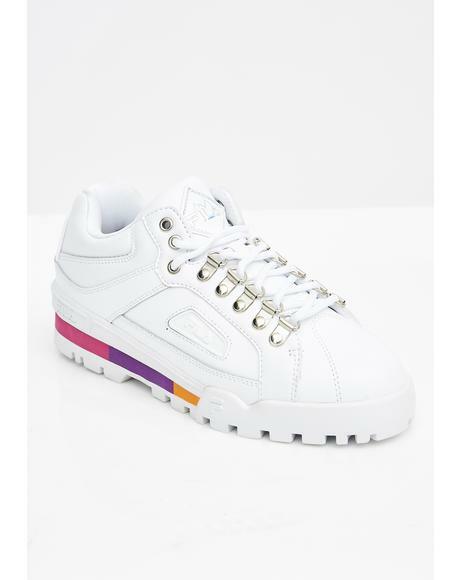 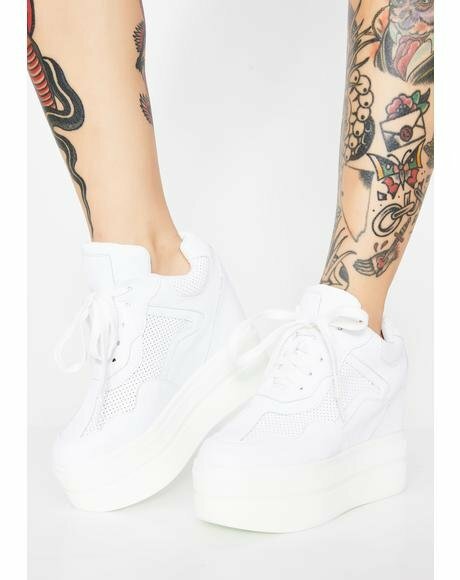 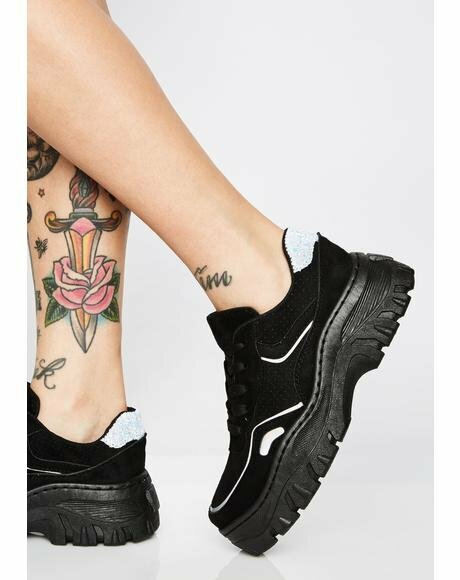 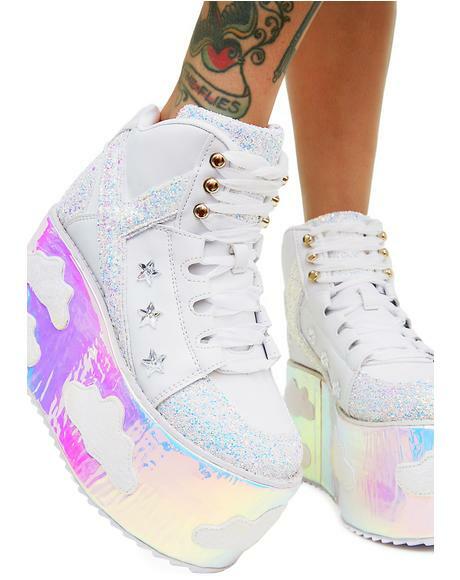 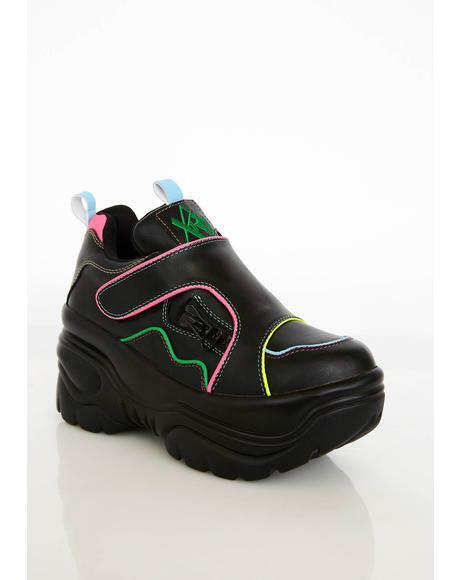 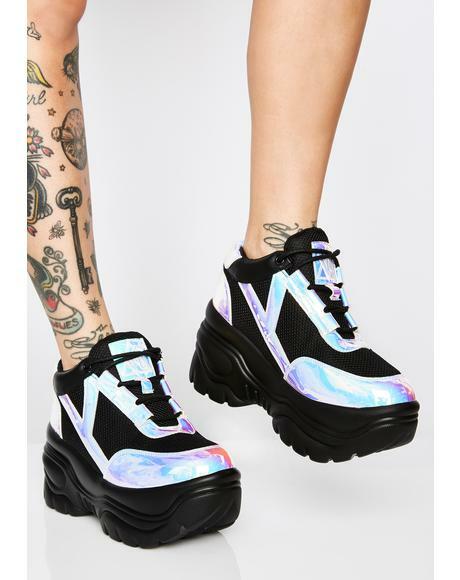 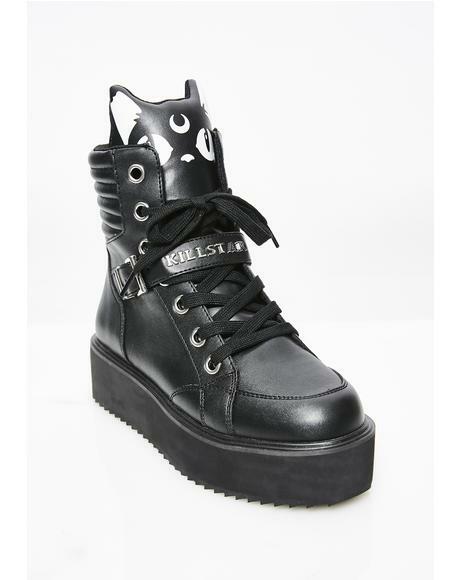 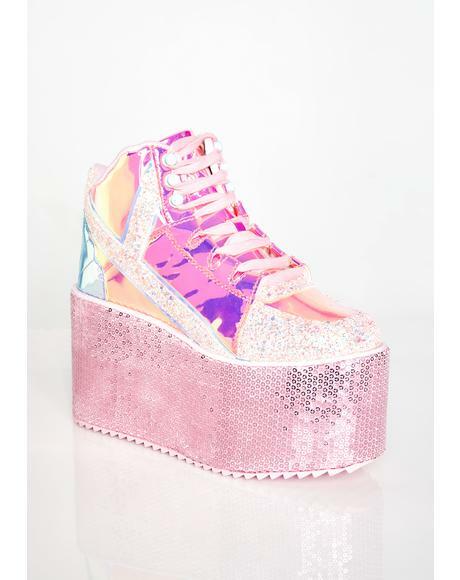 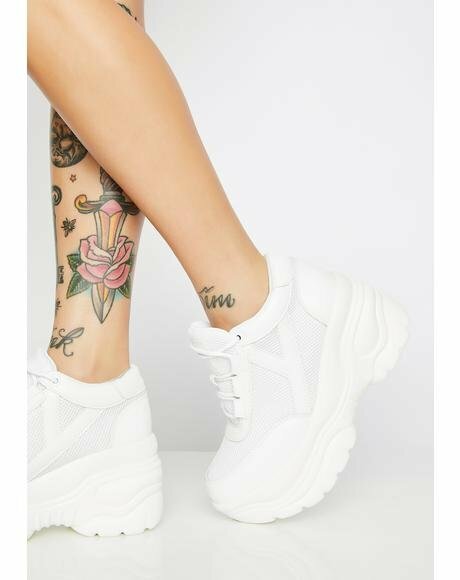 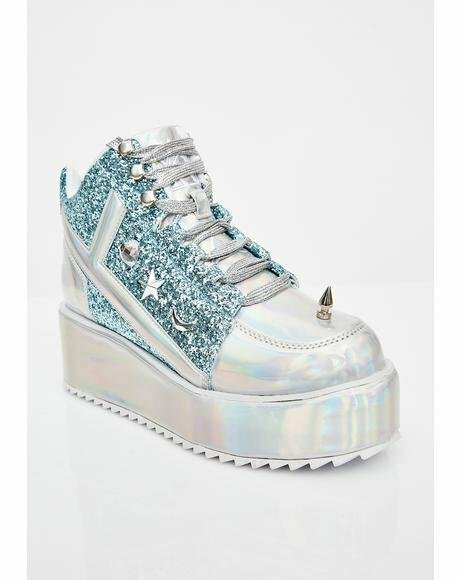 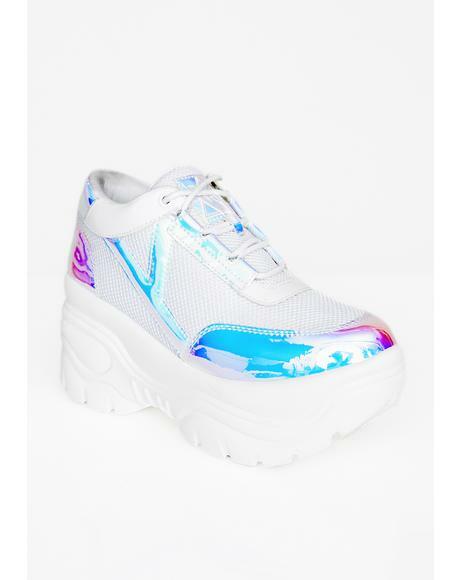 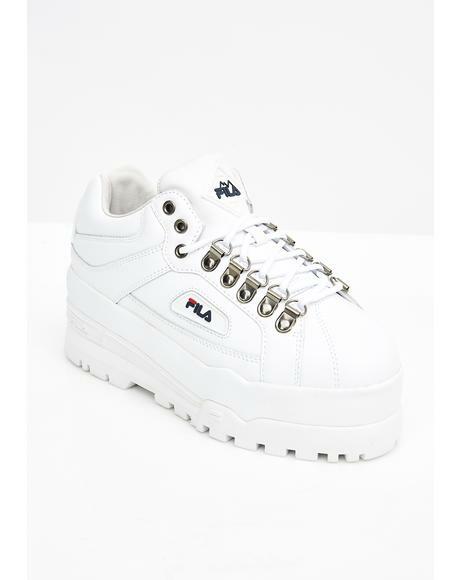 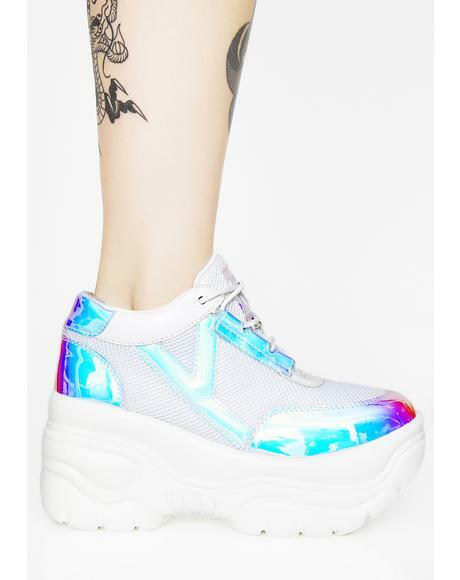 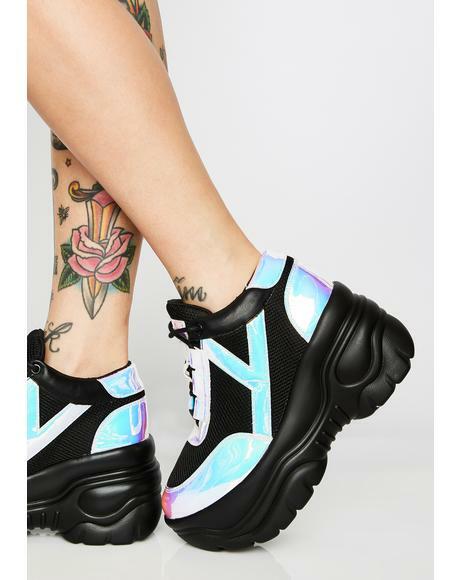 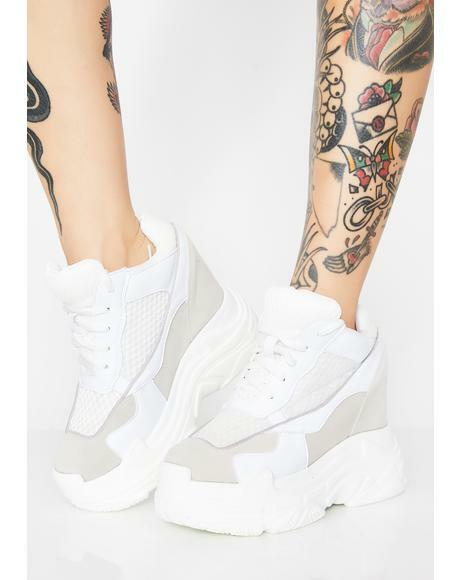 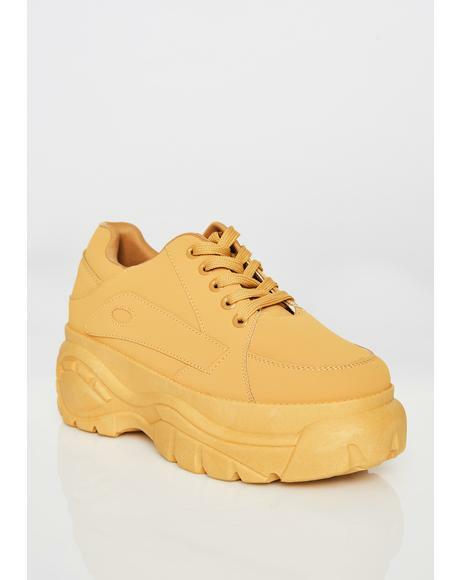 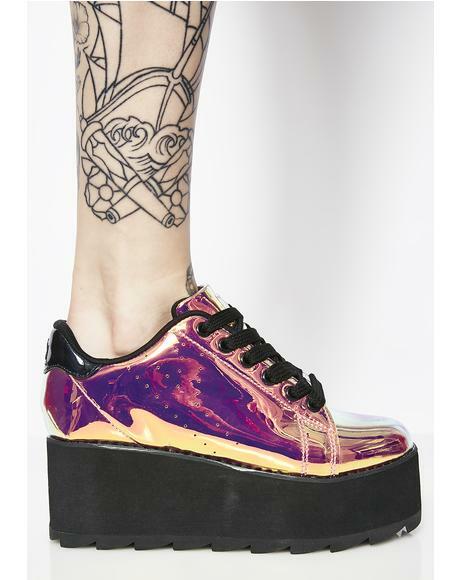 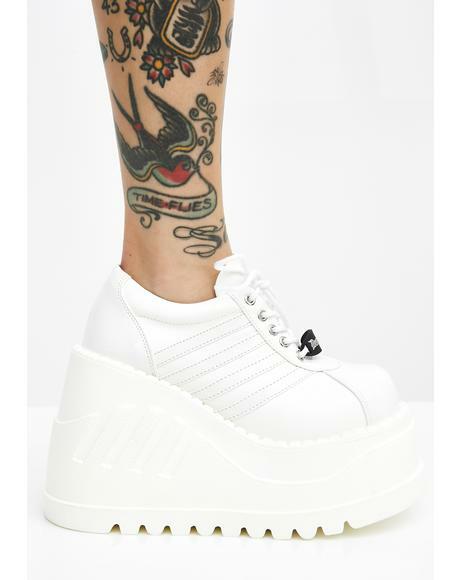 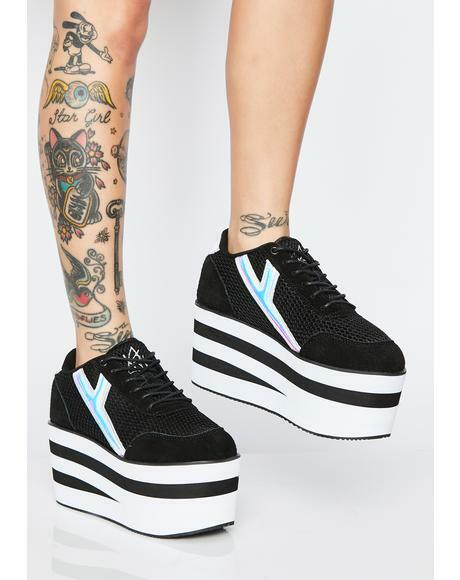 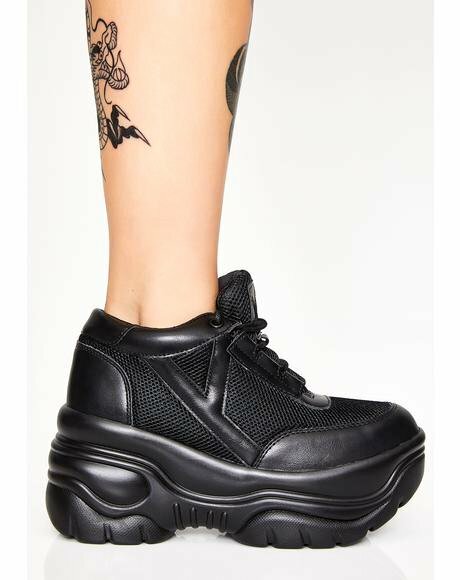 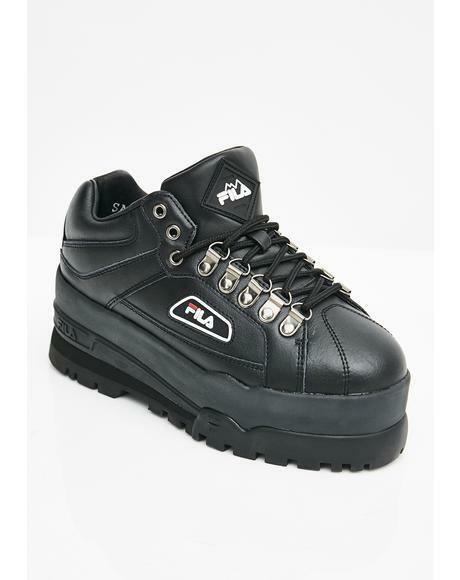 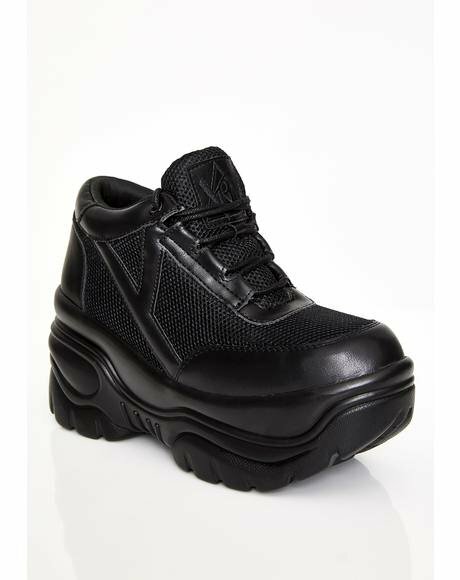 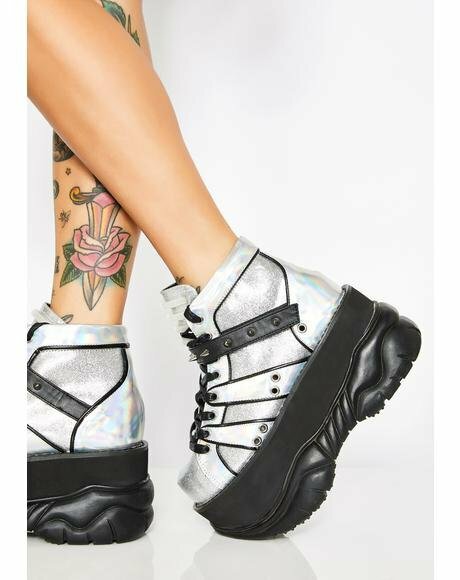 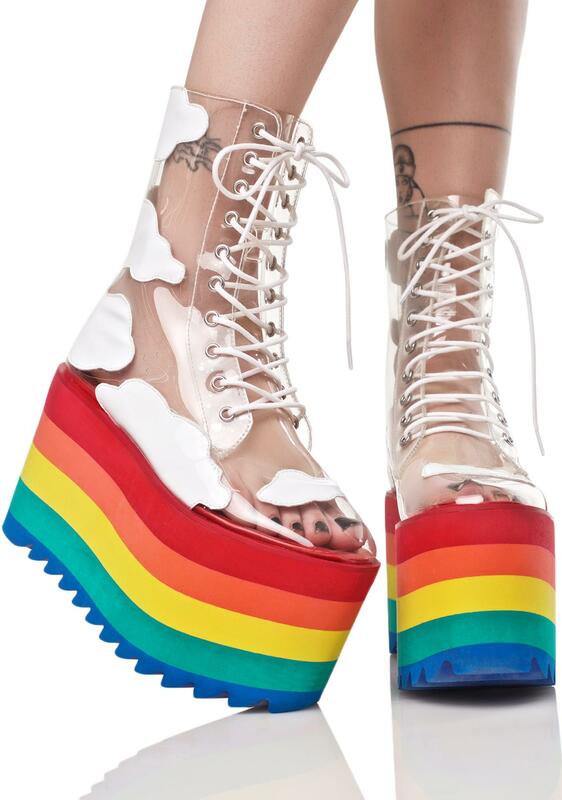 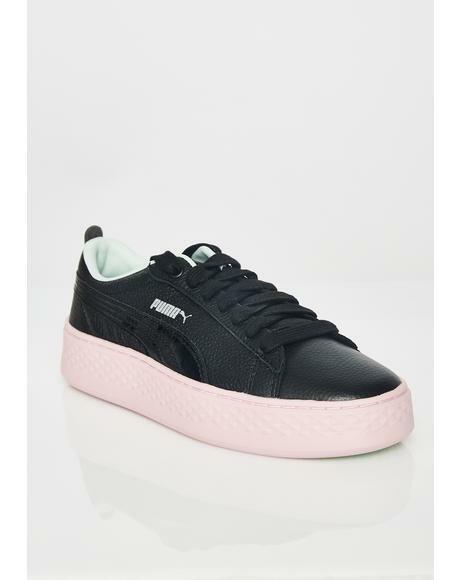 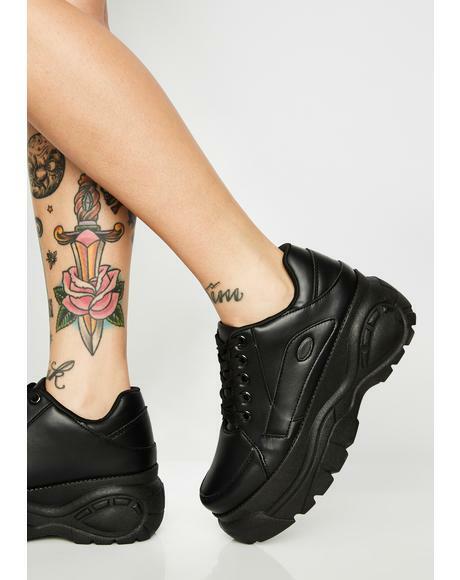 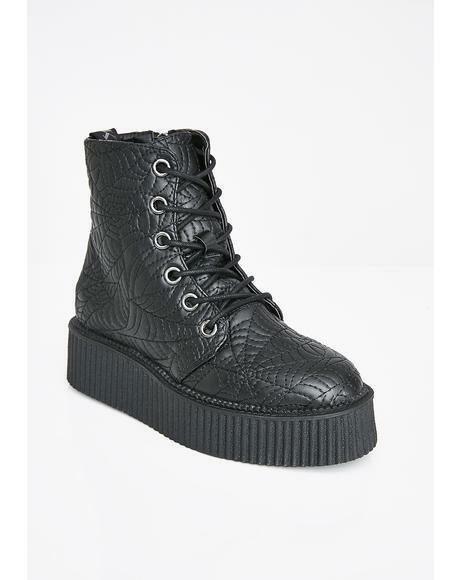 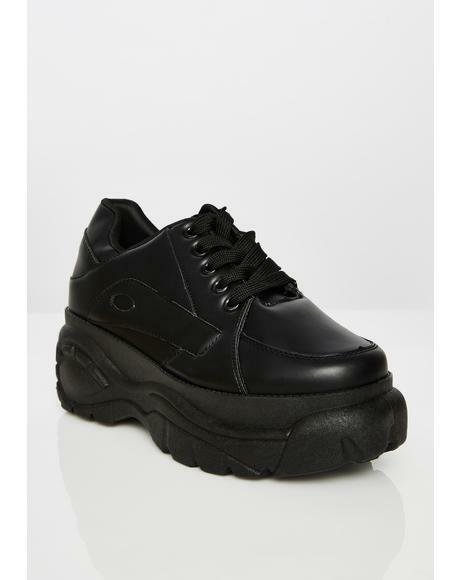 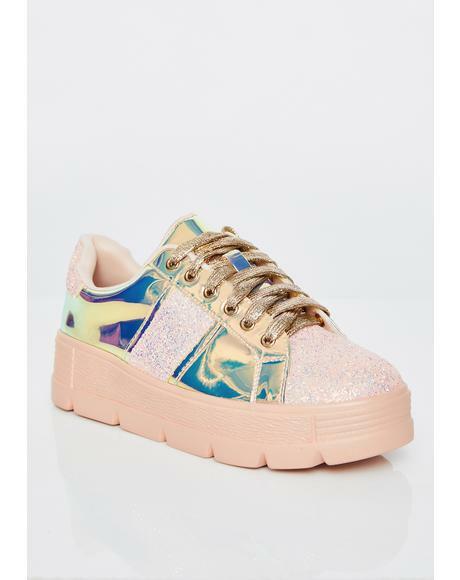 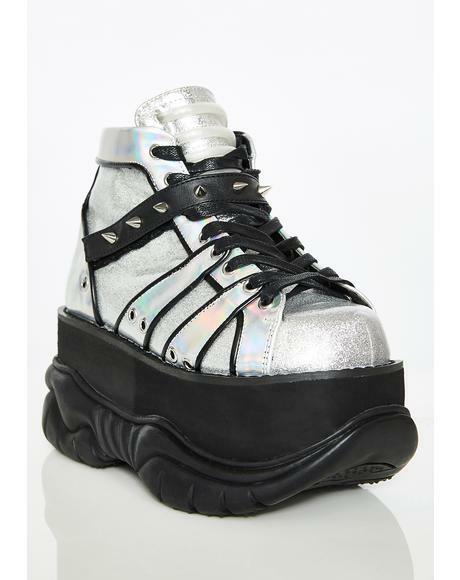 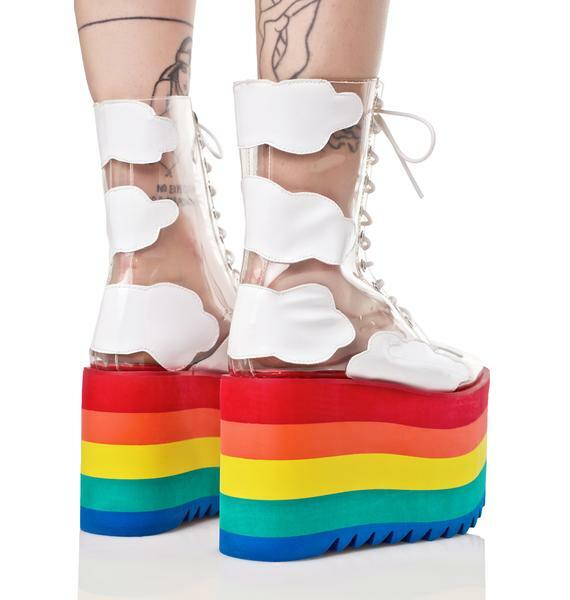 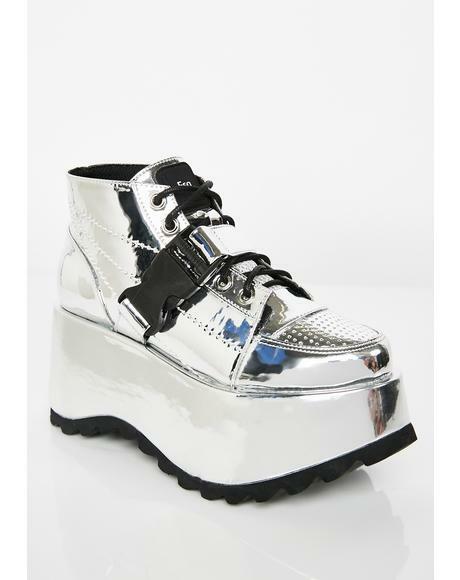 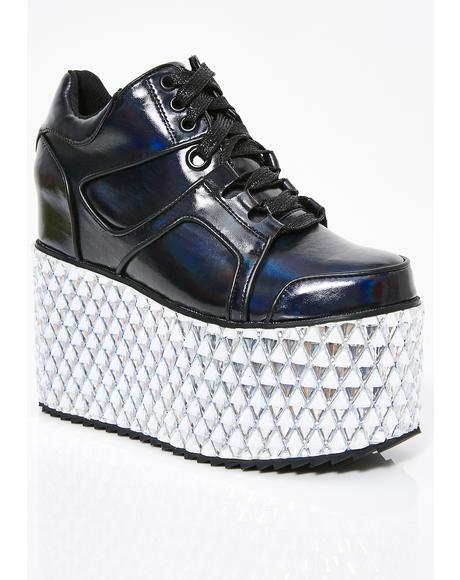 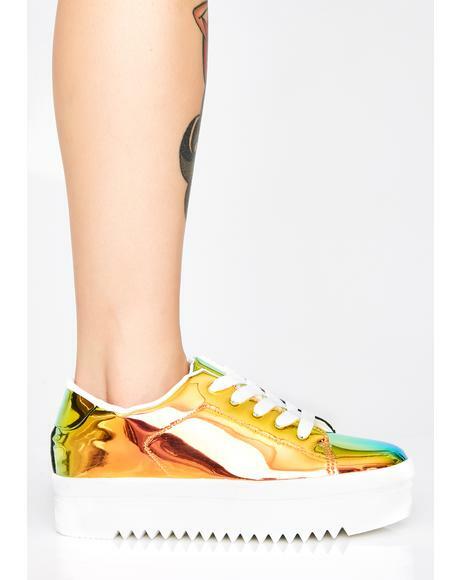 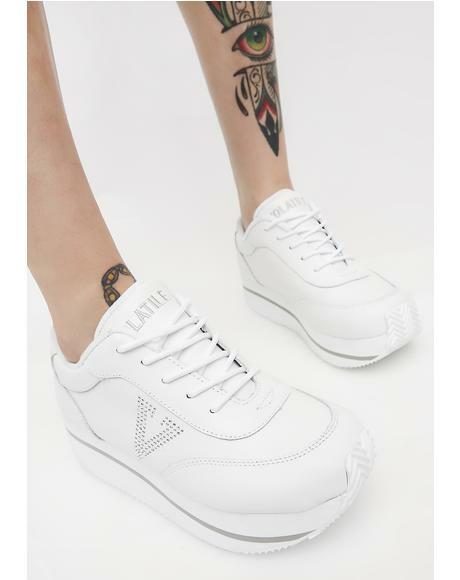 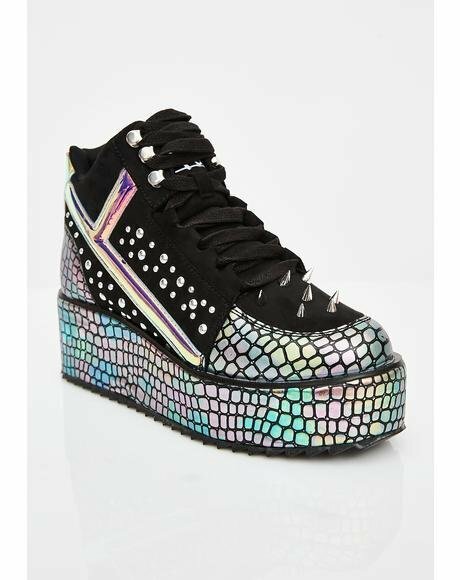 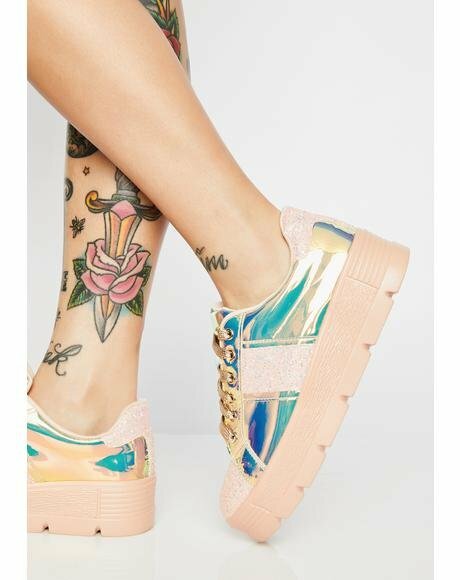 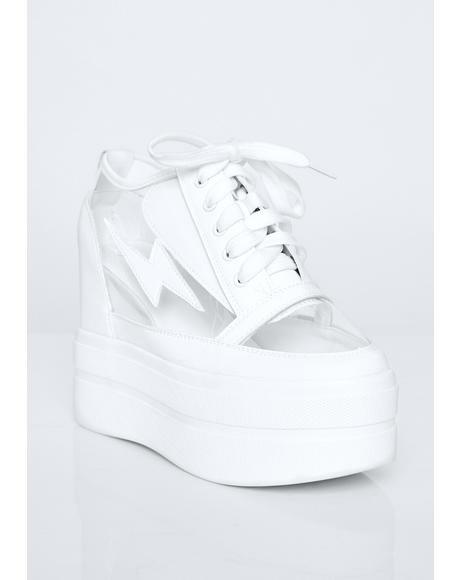 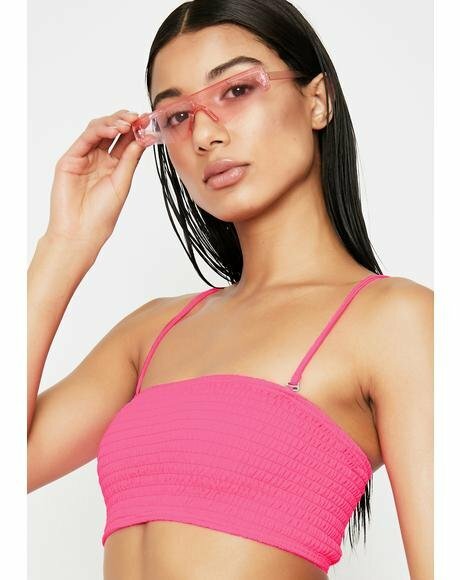 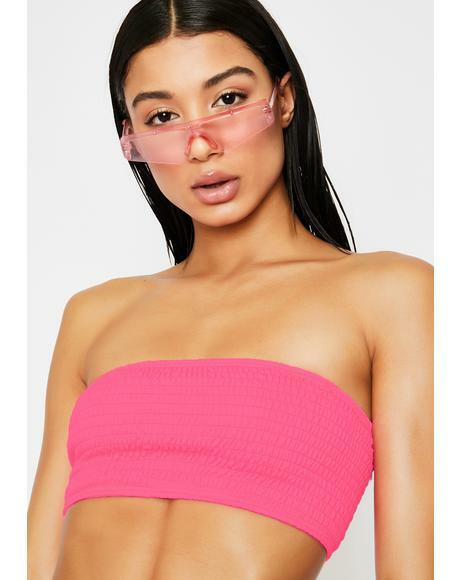 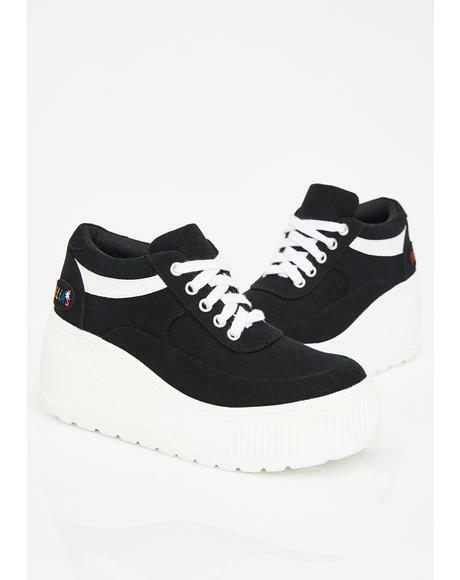 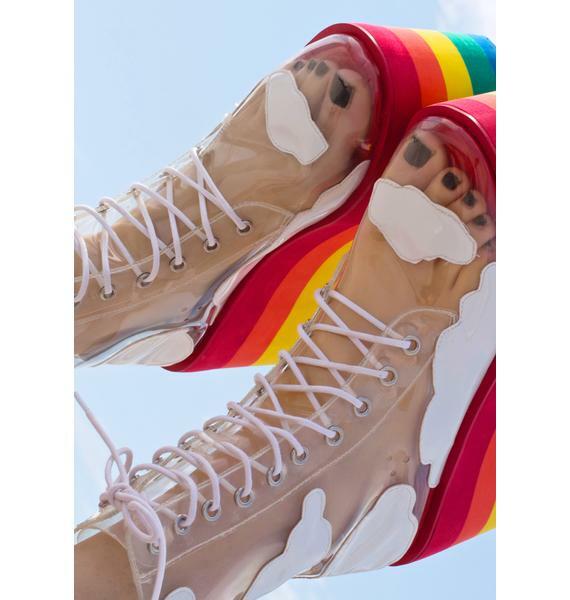 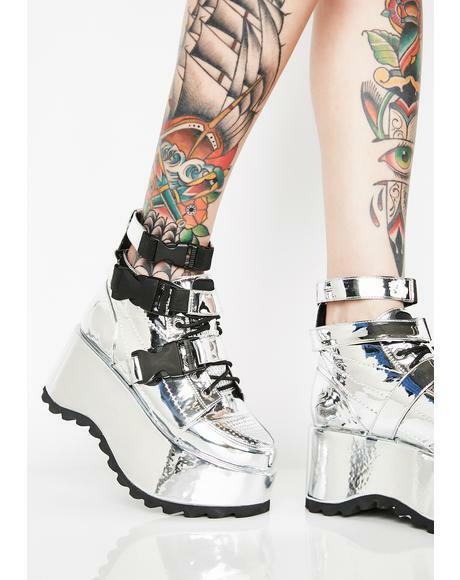 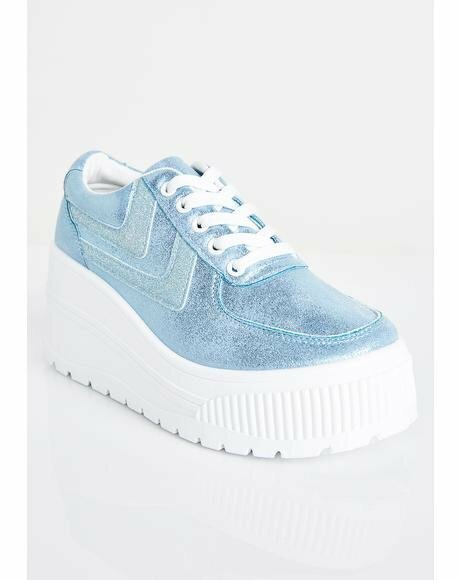 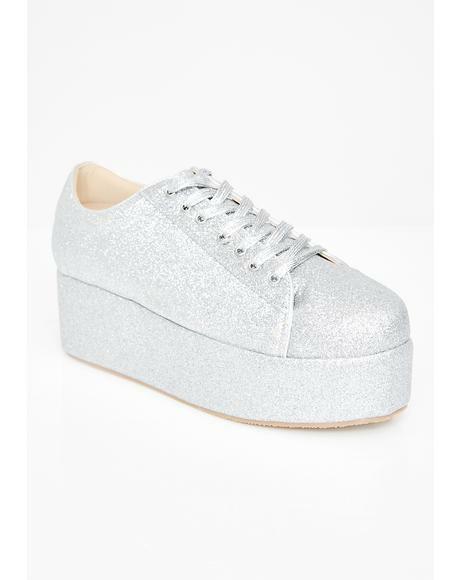 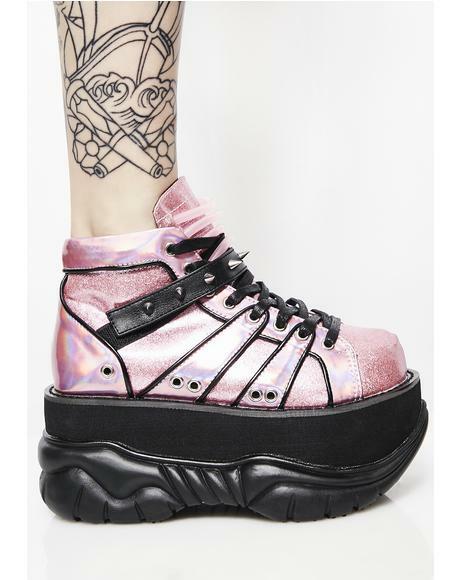 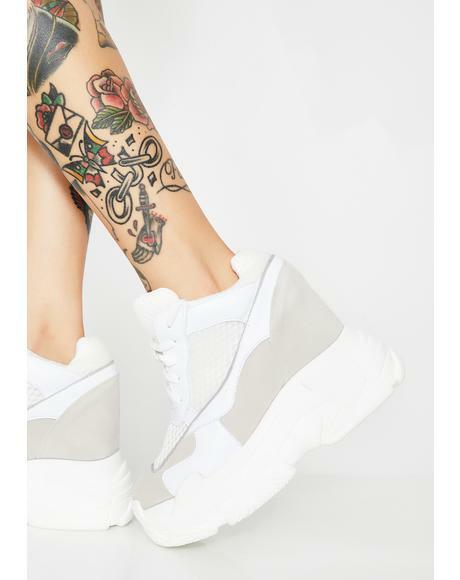 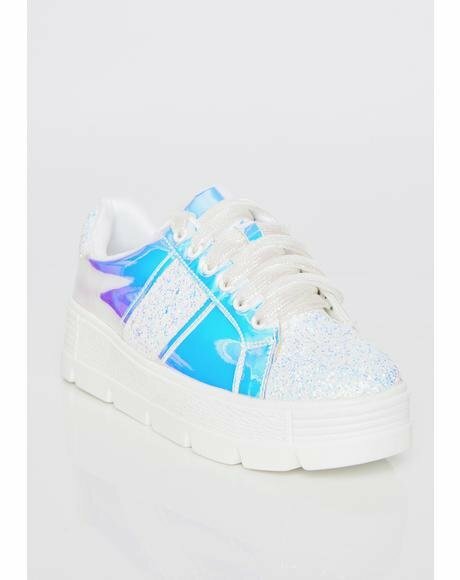 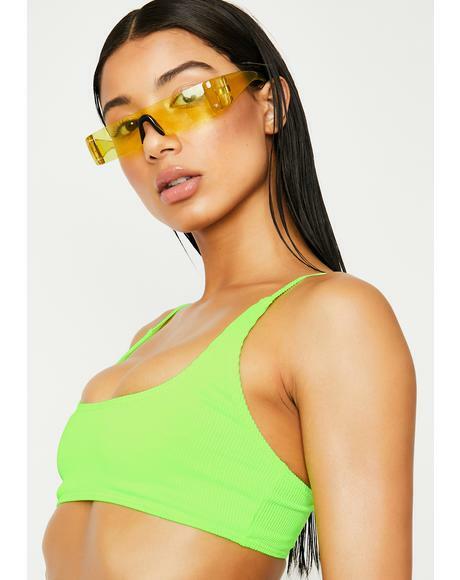 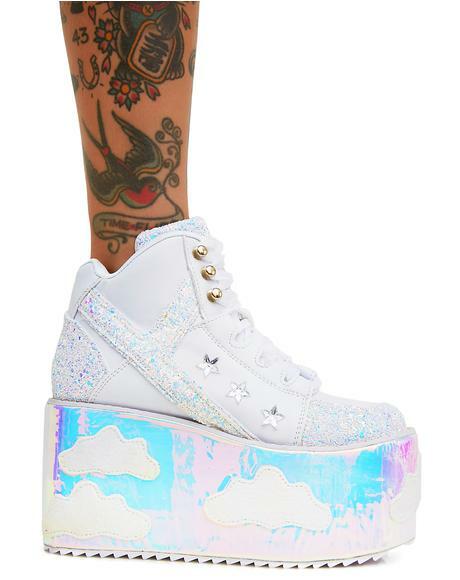 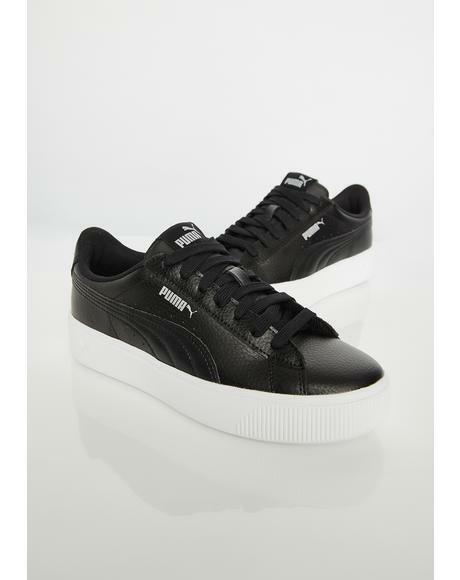 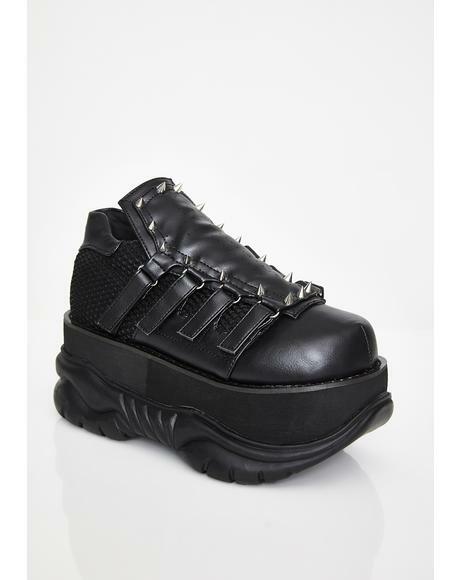 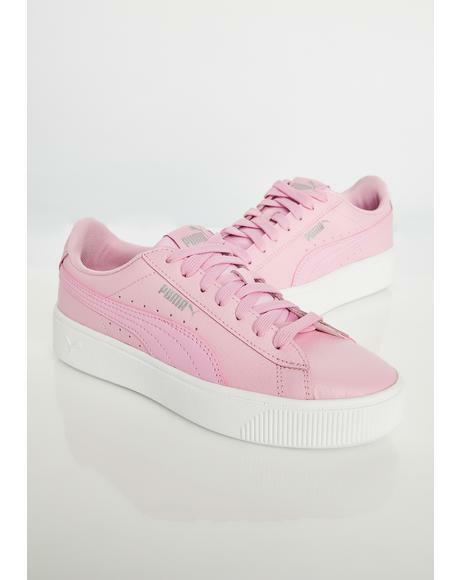 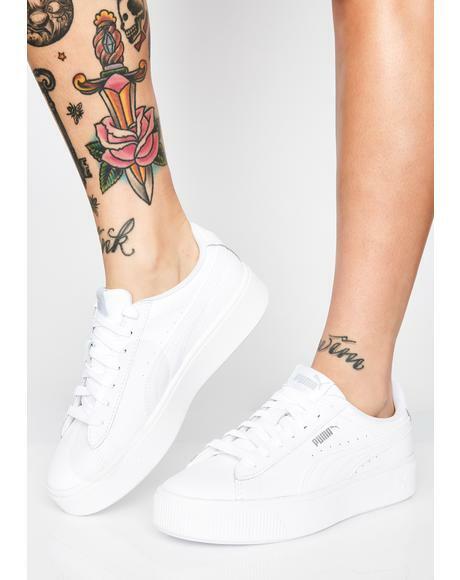 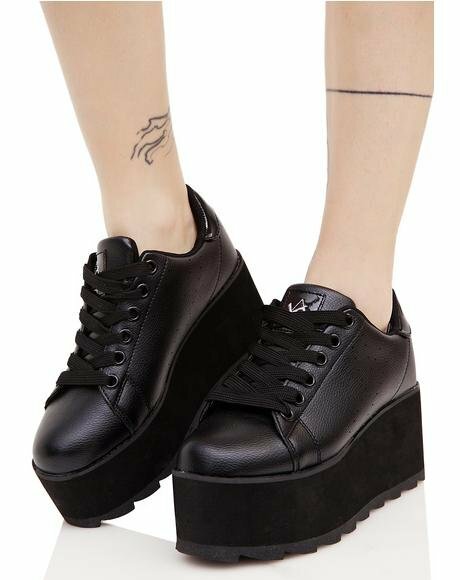 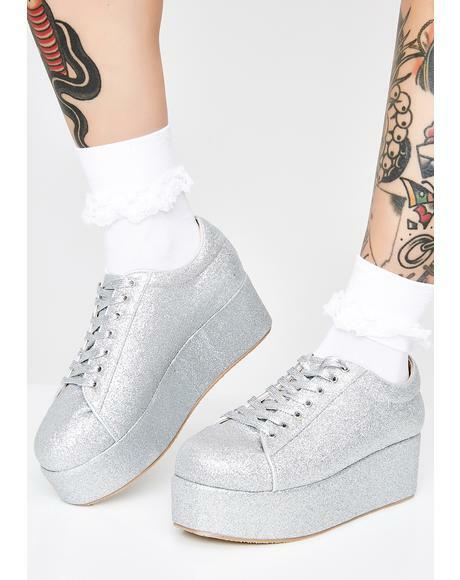 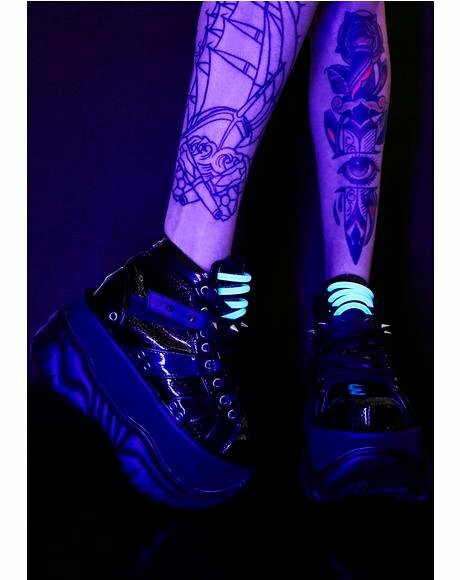 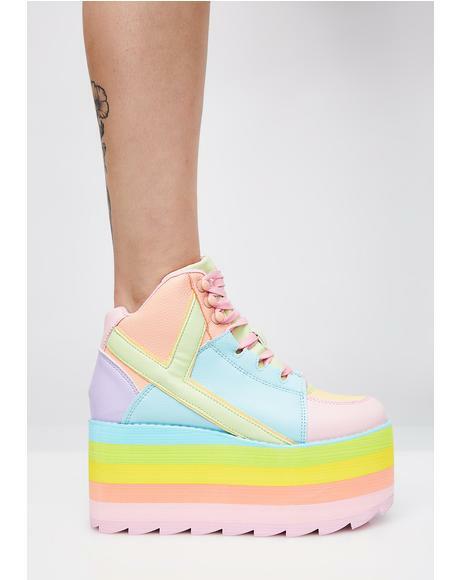 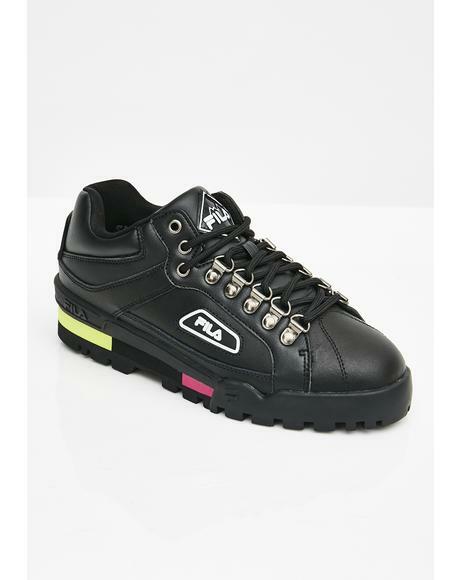 These ever fabulous platforms have floated down from above with an epic clear PVC construction and white cloud accents makin’ ya feel xxxtra dreamy. 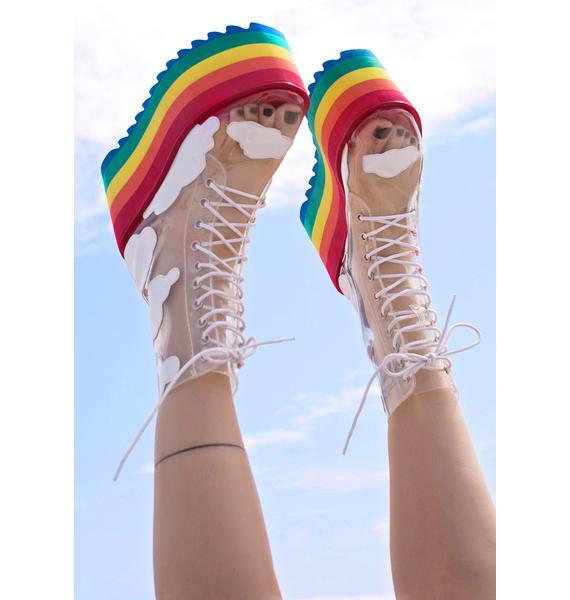 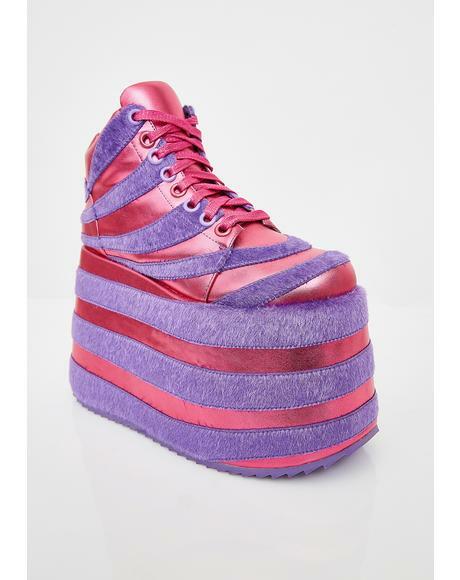 Featurin’ the prettiest lightweight 4.5” stacked rainbow platform with textured treads and front lace up closure cuz yer days are ‘bout to get a whole lot happier.